My dad and I were at Manhattan College along with my mom in November for a Veterans Day screening of Every Day Is a Holiday. We presented the film and conducted a spirited Q&A session afterward. Students attended as well as members of the general public, including a couple celebrating their 30th anniversary and whose parents served in World War II. Good news about the film! I am currently developing an educational screening kit for Every Day Is a Holiday. It will consist of a DVD and curriculum guide for use in middle schools, high schools, and universities. Sewickley Academy, pre-K through 12, will screen the film and distribute the guide in Pittsburgh in February, 2014. It will be shown free of charge at the school. The public is welcome. Also, I have been awarded a grant for $2250 from the ADBC Memorial Society because of my efforts to increase intergenerational dialogue and awareness of Allied POWs in the Pacific during World War II. However, this does not cover the entire cost of the education screening kit. Thank you for your consideration and have a great holiday. I am showing a rough cut at the Chen Dance Center on Dec. 28, 2010. 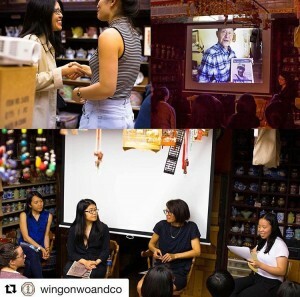 Optional dinner in Chinatown afterward at Old Sichuan; other possible activities include a visit to Apotheke or Winnie’s. Please do stop by if you can. Otherwise, here’s to a happy, healthy and prosperous 2011! 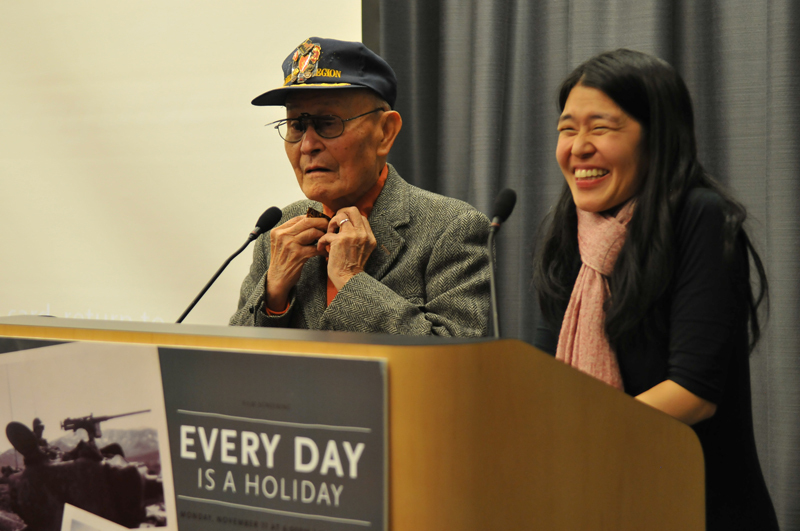 “Every Day Is a Holiday” is made possible with generous assistance from the Chen Dance Center and the Manhattan Community Arts Fund. - I have been working with my composer, Samantha Sutton, on creating a score for the film. I am very excited by her work. - As you can see, I have relaunched the film’s website. Many thanks to Jacqueline Yue and Doug McLellan for their time and effort. Please let me know what you think of the new site! - I screened part of my work-in-progress at the FilmShop and received some valuable feedback. - I attended a really great panel at Women Make Movies with Caroline Libresco and Debbie Zimmerman about the Sundance Film Festival. More in a separate post. - I am working on grant proposals! - I missed “Kevorkian,” the last film of Stranger Than Fiction’s spring series.